Everybody wants to rule the world. So Tears for Fears told us, and I think it's true. Sure, there's a lot of problems that come with it. But hey, you can be the benevolent dictator that everyone needs. But you gotta be careful, since others are wanting that "ruler of the world" throne. 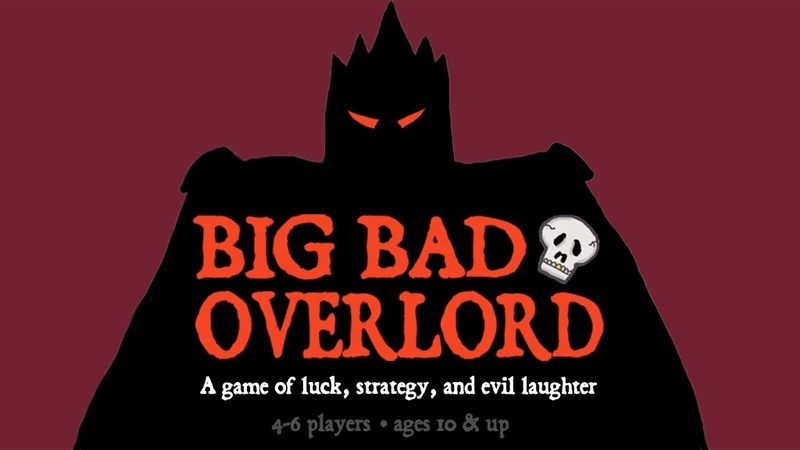 That's the story behind Big Bad Overlord, a new card and dice game up on Kickstarter now. In the game, players take turns drawing cards from the central deck in order to build their armies. You can do things like recruit minions, as well as attack other players with magic, melee, and psychic attacks. But you gotta be careful. There's also Do-gooders in the deck. You know, the uppity, self-righteous, "I'm not gonna let you rule the world" types that we usually play in RPGs. You'll have to fight those off, or perhaps just push them towards another player.